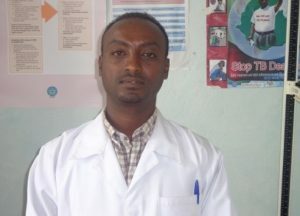 Debre Tabor Hospital faces a shortage of medical personnel. This is at odds with the strategy of Directly Observed Therapy -Short Term (DOTS), which requires both man hours and organizational capacity. However, DOTS can be successfully achieved by utilizing trained community health extension workers, a strategy that has been employed elsewhere with demonstrated success. UHA will rely upon existing best practices to “train and retain” community health extension works to help Debre Tabor hospital offer appropriate counseling, follow-up, and monitoring of patients undergoing treatment for TB. SMS technology may be incorporated into follow-up practices if found to be feasible and appropriate. UHA will conduct this activity in close coordination with the zonal and woreda health offices.